These episodes are in Standard Definition and are suitable for playing on smaller screens, laptops, tablets, ipads and mobile devices. Each episode is between 80-100Mb. Gospel Shaped Living is a track that explores over 7 sessions what it means for a local church to be a distinctive countercultural community. How should Christians live? The church should be a distinctive community of God’s people—but how different are we from the rest of the world? This track helps us untangle some of the false ideas and traditions that evangelicals have had in the past, and reveals the more deeply challenging picture that emerges from Scripture. 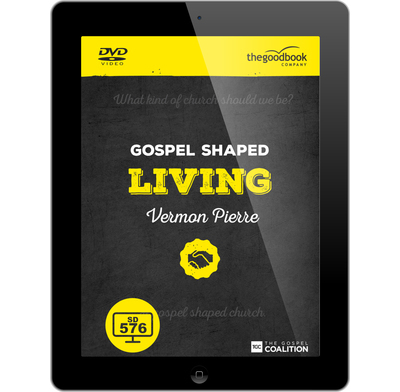 This flexible resource will train your whole church through teaching, preaching, daily reading and small-group Bible study and discussion—or any combination of those elements. The overall aim is that your church will embark on a journey to discover the kind of people they should be as they are shaped by the gospel of Jesus Christ.